Yesterday was Father’s Day. My sister posted a photograph of our dad, 10 or 12 years old or so, on Facebook. My dad was born in 1926, so the photo had to be taken some time in the late thirties. I haven’t seen many photos of my dad as a child, and I hadn’t seen this one before. 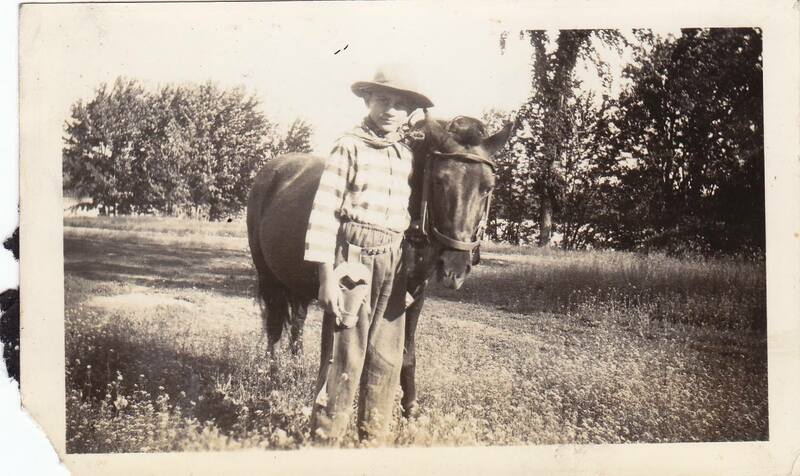 In the photo he’s with his horse and dressed as a cowboy, complete with a hat, kerchief, and a holstered pistol on his belt. I remember him telling stories about his horse and the time and adventures they spent together. 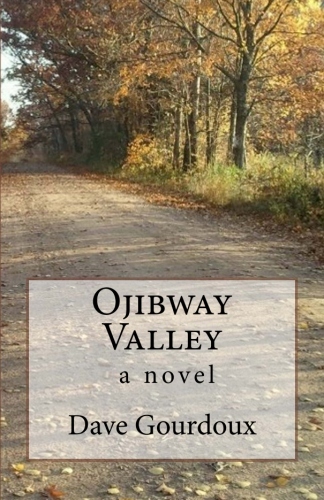 I recognize where he is standing, in the driveway to the old farm house he grew up in, with the Chippewa River flowing behind him. And when I look close I can recognize him, my dad, the same slight smile, a hint of sadness coupled with an unshakable and almost defiant confidence, and the same dark eyes through which he saw a world where wonder and humor always trumped grief and sorrow. What I know about my father’s childhood is that it wasn’t easy. At some point, he was seriously ill. He was the only boy with three sisters, and his relationship with his father was complex and difficult, and he was the victim of physical and psychological abuse. He also saw his share of tragic and unexpected death close up, death by fire, by motor vehicle accidents, and by drowning. But my Dad was strong. That’s what is remarkable and revealing about this photo. Despite the harshness of the reality he was exposed to at so young an age, he was strong and defiant enough to believe in cowboys and horses and adventure, and he was strong enough to emerge from all of this a good and happy and funny man. He was a great father to his children and a devoted husband to my mom. The photo shows the same strength and sensitivity that would define him as a man was always there inside him. It was what made him such a rare and special and unique human being, and it’s what I loved so much about him. You captured, exactly, what it is I love about this photo. Nice job.